I needed something to motivate me to get out of the house and exercise. I got online and started researching races around Portland, I wanted something fun and preferably in the Spring. That’s when I found, 4 years ago, The Hippie Chick. 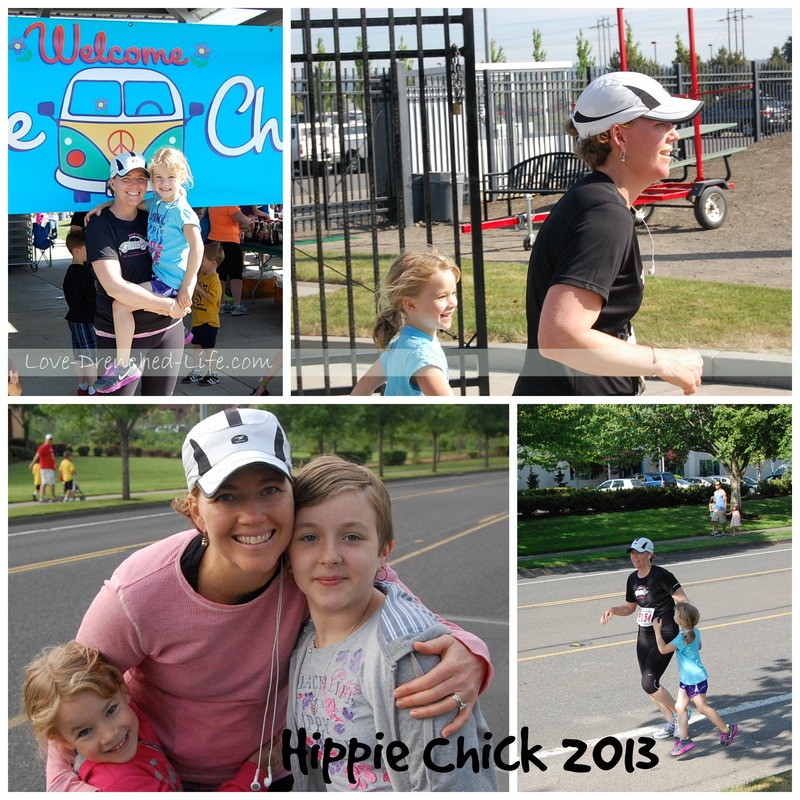 It was a half and a quarter marathon on Mother’s Day weekend, it was perfect. Sign-ups were November 1st and if you wanted to get in it was recommended that you set your alarm for midnight and tried to be one of the first, it filled up fast. That first year training was difficult. Being a single mom, I found getting out and running after work to be challenging. I would load Little Miss Anna, 3 years old at the time, into the jogger with snacks, books, and toys and I would head out. I tried not to go too far away from our house because inevitably when I got about 2 miles out, she would start to protest and would want to go back home. Sometimes I got lucky with a nap, but napping before bedtime was definitely not ideal. Being that I wasn’t a big runner the quarter marathon, 6.5 miles, was a perfect distance and my goal was to run the whole thing without stopping. That year the race was at Champoeg State Park, a beautiful location with a good mixture of road and trail running. My friend Amy came with me and stayed with Anna while I ran. I was so proud of myself for setting the goal, training and following through, all while working full-time and being a single mom. I cried as I passed each mile marker, running. As I came to the last mile I knew that my girl was ready and waiting. I finally saw her standing along the side of the road with Amy and I could hardly keep it together. I grabbed her hand and we slowly ran the last little bit right through the finish line. I was so proud of us. So proud of the hard work that we had put in and so proud that my first race was with Anna. I decided right then that this was going to be our Mother’s Day weekend tradition. 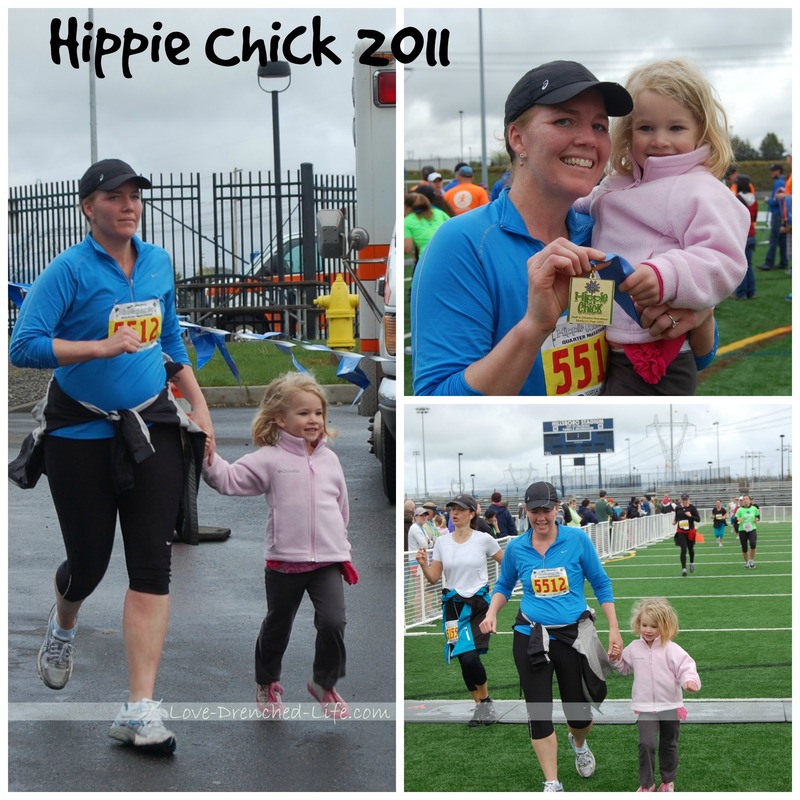 For the next three years, Anna and I ran the Hippie Chick Quarter Marathon together. I would run the first six miles and she joined me for the last .5. I daydreamed about how eventually that distance would get longer and how in just a few short years she would be running the entire race with me. I couldn’t wait! Each year as I ran, both while training and during the race, I would reflect on what it meant to me Anna’s mom. She was, and always will be, my one and only. I remember the day she was born like it was yesterday, the moment I touched her for the first time, looked into her eyes and how instantly we were connected. I cherish the moments it was just her and I, eating dinner together, having “coffee shop” talks during bath time and how much I loved when she would crawl into bed with me and cuddle. I love how she adored her brother, sisters, and Tom and how much she loved having a big family, even though sometimes we would lie in bed at night and reminisce about the good old days when we didn’t have to share one another. This race, which started as a means to get into shape, turned into so much more. It was our thing. 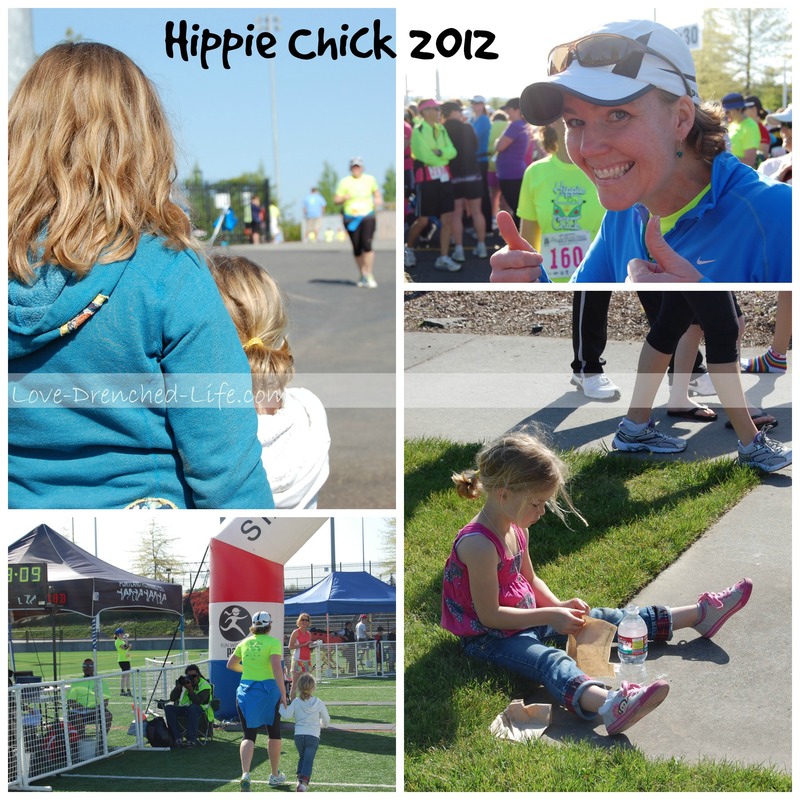 I won’t be running in the Hippie Chick today. It doesn’t seem right not to have my running partner with me and to be honest, I don’t think I would be able to get through it. Instead, I am going to go for my first run since the girls went to Heaven. I’m going to stay close to home just like I did when Anna was little so that if I need to come back to the comfort of my home I can. I’m going to do this for her and for her sister and as I am in my final stretch I’m going to take a deep breath and feel her presence, because I know she will be right there with me, holding my hand. Last night at the theater I ran into a friend who is running in the Hippie Chick today. I gave her a bag of Love Rocks (13, one for each mile of the half marathon) to take with her and place while she ran. Thank you so much Jessica for thinking about my girls and for doing this for us…it truly means the world to me. Have a great race!!! I remember my first running event (I won’t call it a race because, well, let’s be real, I was hardly racing 🙂 – it was so overly emotional as all the people cheered – complete strangers – cheering everyone on. I get choked up just thinking about it. 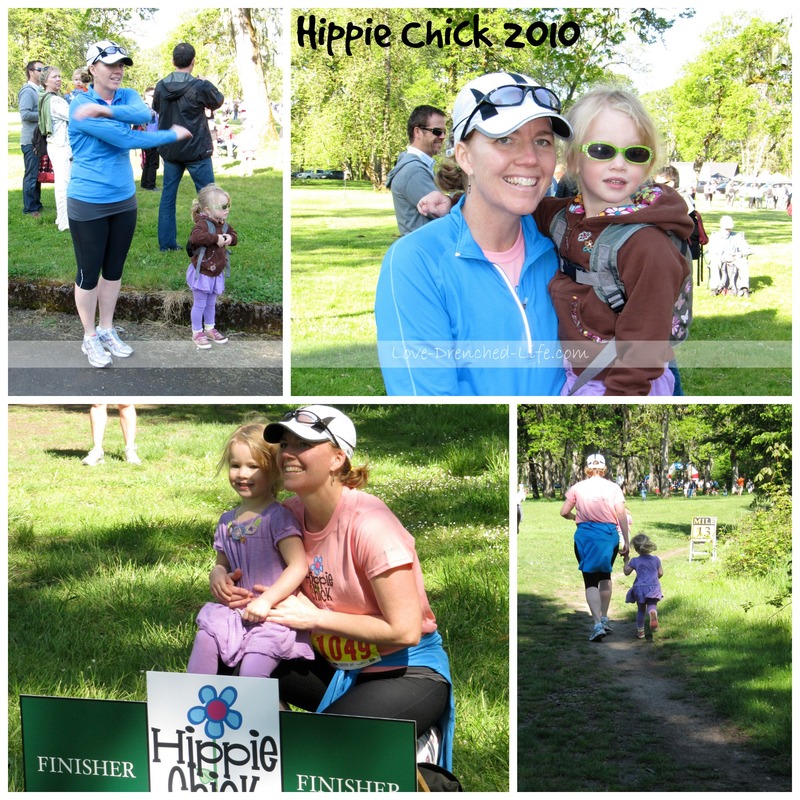 Your days will be much like the Hippie Chick run – while your running partner won’t be physically at the end to finish with you, you get her every step of the way, silently cheering you on. Susan, I don’t know how – but I would LOVE to be a part of your experience preparing for next year’s event. Much love. I love how you celebrated life to the fullest while your girls were with you and how continuing the celebration ( baby steps at times) is a part of your healing process while honoring your girls. I am impressed by your winning/ positive spin when others would give up….you really do have that extra boost from your own heavenly fan club to propel you forward! So proud of you friend. xoxo Keeping the prayers coming. I hope that your run was healing. I walked the whole way and just enjoyed the morning. Was honored to be able to spread some love. Next year we can train and run together…sound like a plan? Love, Hugs and Prayers for you and yours…….. always. Susan, I was led to your page/story via Parker Pup. I so admire your strength and courage. I will be sending prayers and good wishes for you on Mother’s Day!